Nature’s Sleep is a Florida based sleep company. They specialize in creating comfortable mattresses, pillows, toppers, and more. All with a focus on organic, natural, and healthy construction materials. 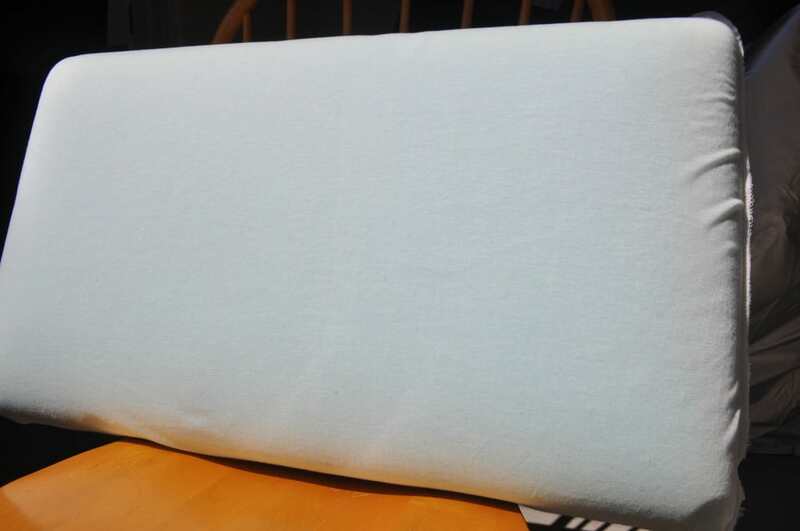 The Nature’s Sleep gel infused memory foam pillow is designed and manufactured to provide great support and cooling through the highest quality foams, cotton, gel, and other materials. Continue reading below for our full review or if you’re in a rush you can zoom to the bottom and read the review summary. Prefer to watch rather than read? Watch our comprehensive video review of the pillow here. The Nature’s Sleep gel infused memory foam pillow uses a custom molded memory foam. The foam is a custom creation developed by Nature’s Sleep called ViTex foam. 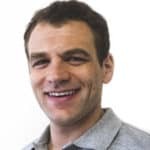 It provides the same great pressure relief and support that you’d get with traditional memory foam, but has the added benefit of improved responsiveness (similar to what you’d see with a latex foam). What makes this pillow unique is the infused gel. Traditional memory foam has the tendency to absorb heat during the night, resulting in a continual build up of heat where your head and neck are resting. The gel beads are infused into the memory foam when it’s poured, resulting in consistent gel infusion through the entire thickness of the pillow. Pillow without the cover. You can see the infused gel in blue. The cover is a bit unique because it’s actually two covers. The interior cover is 100% cotton and serves as a basic wrap around the foam core, providing extra protection and increasing longevity. The exterior cover is a cotton-poly blend (75/25 split). The outside cover can be removed and is 100% machine washable. Additionally, it is allergen resistant. As I mentioned above, the most unique and enticing attributes of the Nature’s Sleep gel infused pillow are the cooling features. When it comes to cooling the Nature’s Sleep gel memory foam and gel infused memory foam pillows are amazing examples of what foam cooling should look like. Generally, when sleep companies describe a pillow or mattress as “sleeping cool” it really means it doesn’t “sleep hot”. However, Nature’s Sleep really takes it to the next level with this gel infused pillow. It actually sleeps cool, as opposed to just not getting hotter during the night. The gel lowers the surface of the pillow by up to 3.5 degrees Fahrenheit. The result is a surface that feels cooler than the temperature of my face, neck, and head. If you have a tendency to sleep hot and really need a pillow that maximizes cooling it’s hard to go wrong here. Most foam pillows and mattresses I review have an odor. It’s just part of the manufacturing process and usually takes several days before that smell goes away. However, this was simply not the case with Nature’s Sleep gel infused memory foam pillow. There was effectively zero noticeably smell from the moment I opened the package. I was in such disbelief when I first opened them I pressed my face all the way into the pillow and inhaled…still nothing. This may seem like a small thing, however, I think it really speaks to the quality of the materials used in the pillow. Lower quality foams and manufacturing methods can result in extremely odorous pillows. 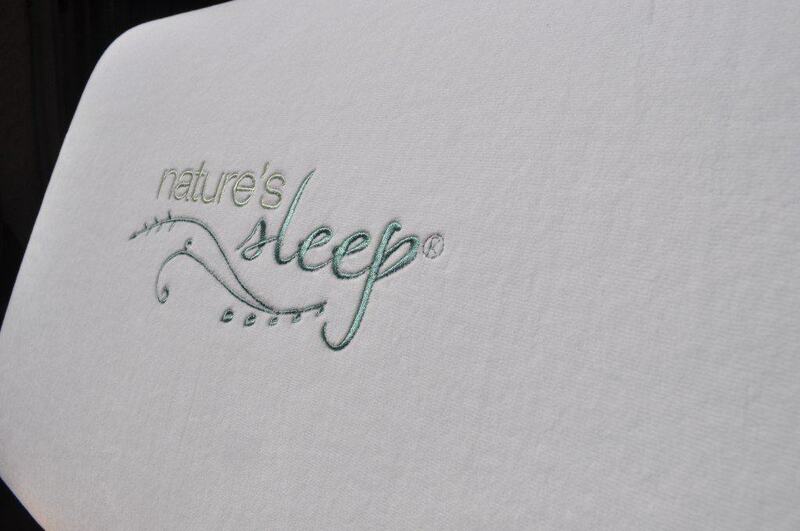 The quality and hygienic materials used to build the Nature’s Sleep pillows have effectively eliminated the bad smell. If you’re a Sleepopolis regular then you probably already know I am a stomach sleeper. As a result, I really love a flat pillow. Needless to say, the Nature’s Sleep gel infused memory foam pillow is not flat. It’s quite robust in terms of height and density. If you’re a back or side sleeper the height and density shouldn’t be a problem, if anything it’ll help to ensure your spine and neck stay in alignment during the night, providing great support. However, for most stomach sleepers I would not recommend this pillow. The height just doesn’t work as you won’t be able to keep your spine anywhere close to aligned. Is the Nature’s Sleep gel infused memory foam pillow right for me? Overall, the Nature’s Sleep gel infused memory foam pillow is a well designed and crafted pillow. The quality is abundantly clear and well communicated through the use of high-quality custom foam core, multiple covers, gel bead infusion, CertiPUR-US certification, and lack of any strong odor. 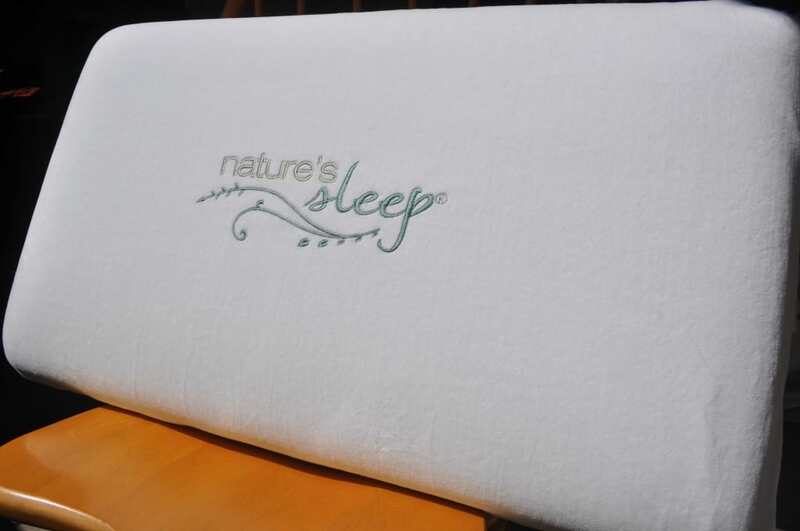 Click here to shop for the Nature’s Sleep gel infused memory foam pillow. The Nature’s Sleep gel infused memory foam hits just about every major check box. The material quality is impressive. It’s clearly visible and felt from the moment you open the package. What really makes this pillow work is the gel infusion. Top to bottom, you have gel beads pulling heat away and dispersing as you sleep. It’s a great option for both side and back sleepers.